Johnny Sauter has nine CWTS victories, has been the championship runner-up twice, but the crown still eludes him. Over the past five-and-a-half years, no driver has been closer to winning a championship without success than this one man. For this one man, he who has a family history that goes back to the short tracks of Wisconsin when his father was racing, a championship would be icing on the cake; maybe even with some candles, too. Johnny Sauter has been racing full-time for Thorsport Racing, the only NASCAR Camping World Truck Series team based in Ohio, since 2009. 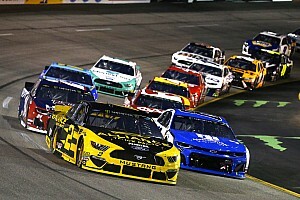 However, even with nine victories in those several seasons, he has yet to be handed over the crown in NASCAR’s third-tier division. There is something different about this season for the 36-year-old racer, who has been racing in NASCAR’s top-three divisions since 2001. This year, his No. 98 Toyota Tundra has finished inside of the top-10 in all but two events. The consistency is similar to what his teammate Matt Crafton had in his 2013 championship season. Moreover, all that Sauter is missing as of now is that illusive victory. In each season that he has raced with Thorsport, Sauter has recorded at least six top-five finishes along with a win. But with consistency this season, all that he is searching for is a drop more speed. Toyota’s were in Victory Lane in each event this year until Pocono, and they did so in dominating fashion. “I’d say for me it has kind of been a bumpy one (season) at the least. We have had some flashes of speed and we have been more consistent this year. We are used to having a win by now, but it is not from a lack of effort. I’d give us a B probably. There is a lot of room for improvement in a lot of different areas, but we are consistent so I guess that’s good,” he said. Even with five top-fives and nine top-10s through 11 contests this year; Sauter wants to improve in certain areas. And if the team can do just that, the No. 98 team is going to find the trophy quite frequently. Each team has been dealing with the new body style this season. Although Toyota was the first to unveil their new frame, there was still plenty of developing to be done. 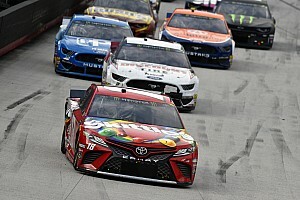 Due to Toyota Racing Development being located in the midst of North Carolina, Thorsport Racing has been able to do plenty of research with them; albeit they are approximately 550 miles apart from each either. TRD, located in Salisbury, North Carolina, has been an essential part of Duke Thorson’s organization. Since the team moved away from Chevrolet in 2012, they have eight victories with a combined 42 top-fives. But besides racing for a title in the Truck Series, a new opportunity was established this season for Sauter. 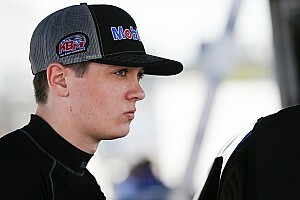 Hattori Racing Enterprises, owned by Shigeaki Hattori, opted to bring his NASCAR K&N Pro Series team to the NASCAR Nationwide Series on a part-time basis. Although Ross Chastain started one of the events, Sauter has been their primary driver; proving that his experience behind the wheel is inevitably valuable for a new team. 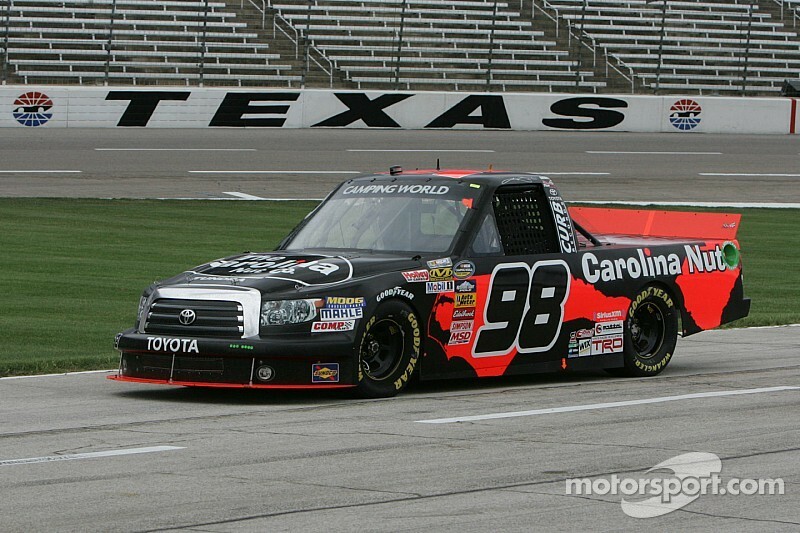 In three races with the Toyota organization, Sauter and crew chief Bruce Cook have improved in each event. However, with their use of foreign sponsors; Hattori Racing Enterprises is set to run more races to conclude to the 2014. But this team is different. They just don’t show up to the track, but they carefully plan out which events they want to run as the season progresses. Sauter also took a moment to talk about the current CWTS schedule, saying "I’m glad I don’t have to make those decisions every year. I’m a short track guy; I’d like to see more short tracks. There are just so many determining factors when the schedule gets laid out. It’s a way bigger thing than me."